A surprise visit to a Connecticut high school by President Donald Trump’s daughter, Ivanka, angered some parents who pulled their children out of school because they were upset they weren’t told of the presidential daughter’s visit ahead of time. 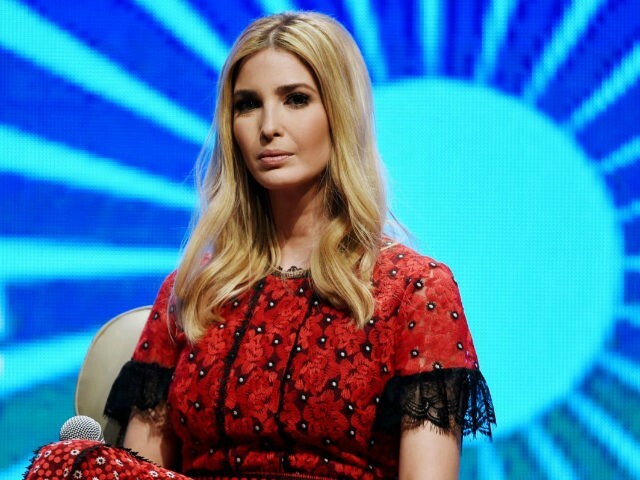 Ivanka Trump visited the children at Norwalk Early College Academy on Monday as part of her nationwide effort to discuss the importance of career education. “To see the passion and enthusiasm for bringing real-life skills into a classroom environment but then coupling it with real-life experience through internship creates this really beautiful virtuous angle,” Ivanka said. IBM CEO Ginni Rometty joined Ivanka during the visit. IBM helped develop the academic model used in the NECA program which allows students to earn a high school diploma and an associate degree in software engineering or mobile programming. But not all the parents of the Academy’s students were pleased with the unscheduled visit. “This should have been brought to our attention, although I do understand security reasons. I think we should have had the choice to send our child to school or keep them home,” disgruntled parent Karey Fitzgerald told News 12 Connecticut on Monday. For her part, Trump ignored the partisan sniping saying that it was an honor to visit the school.